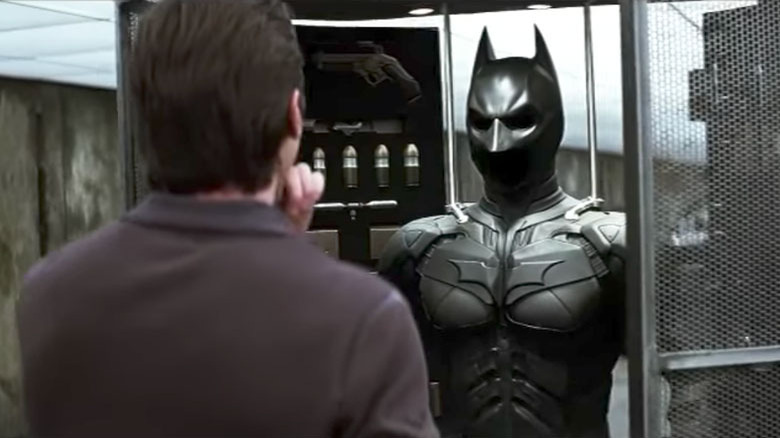 How does Batman make all his money? Let's be real for a second here: Batman has the best secret identity. 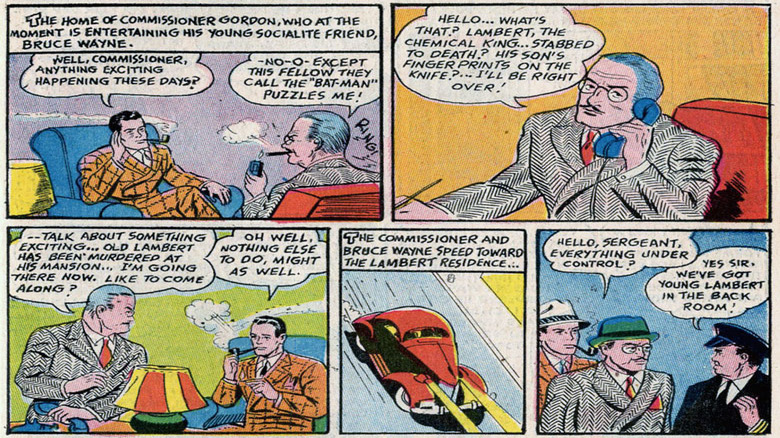 Sure, being a mild-mannered reporter might keep you close to the action, and investigating crime scenes might give you the chance to fight for justice by day and by night, but an independently wealthy billionaire who can afford as many bat-shaped rocket cars as his cold heart desires? There's no getting around the fact that having that much money rules pretty hard. But if you're the kind of person who spends a lot of time thinking about the mechanics of superheroes and how they're meant to work, it's easy to start wondering just where all that money comes from. Sure, we know that Bruce Wayne owns Wayne Industries, but there can't be that much money in making bat-shaped boomerangs and grappling hooks, right? It turns out, the answer is both way more simple and way more complicated than you might expect. If you're asking where Batman gets his money, the real question that you're asking is "why is Batman rich?" The answer to that one's actually pretty simple: tradition. As much as Batman might be an early superhero—as far as the major ones go, he's preceded only by Superman, who kicked off the entire genre in 1938—he wasn't created in a vacuum. And really, neither was Superman. 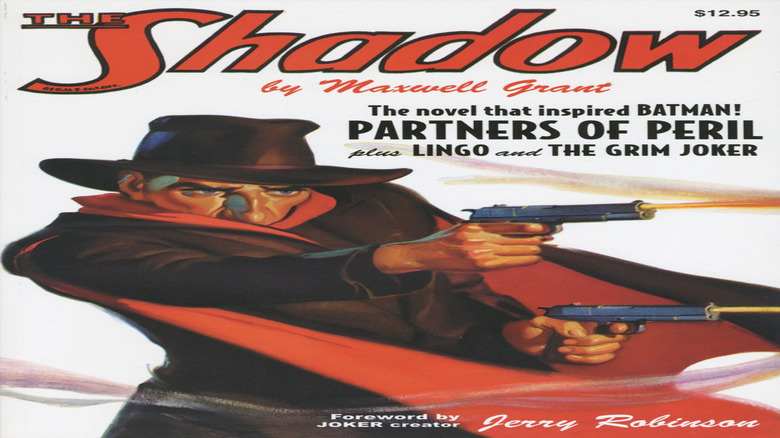 Both of them were drawing heavily on popular pulp characters that preceded them, like Doc Savage (that's Dr. Clark Savage, who has a Fortress of Solitude in the Arctic Circle), and, in Batman's case, three particular inspirations that went beyond just giving him the deductive abilities of Sherlock Holmes: the Shadow, Zorro, and the Scarlet Pimpernel. The Shadow was the most direct influence, to the point where it's actually pretty charitable to say that Bill Finger and Bob Kane were "inspired" by his adventures. The earliest Batman stories, before his origin is finally revealed in Detective Comics #33, are functionally indistinguishable from stories about the Shadow, right down to blazing .45s, autogyros, and unfortunate "Yellow Peril" enemies. From the moment that we're introduced to Bruce Wayne, he's in that same tradition of a wealthy hero who masquerades as a disinterested dilettante that Baroness Emma Orczy had created back in 1905 with the Scarlet Pimpernel. On a purely functional level, the Wayne family fortune opens up a lot of storytelling opportunities for Batman. For one thing, if you're going to have a character who doesn't have super-powers—one of Bill Finger's earliest suggestions, in order to help distinguish his and Kane's new character from Superman—then it helps if he has a nice storyline reason for all the stuff that's going to help him fight evil. Capes and cowls don't buy themselves, after all. Beyond that, though, the fortune served as the same kind of power fantasy that readers were seeing in the pages of Superman. For kids growing up at the height of the Great Depression, life as a wealthy socialite was about as fantastical and appealing as the ability to leap over a tall building in a single bound. Glen Weldon, author of The Caped Crusade, identified Batman's wealth as a product of the same cultural zeitgeist that saw Private Lives and The Philadelphia Story thrilling audiences with glimpses into the lives of the wealthy. Batman embodied that idea in the form of the adventure story, an upper-class one-percenter who was still willing to mix it up with gangsters and mad scientists to protect the common folks. All of this still leaves the question of where Batman gets his fortune in the world of Gotham City, but if you've read enough comics, it shouldn't come as a surprise that Bruce Wayne's infinite pile of money has an origin story just like everything else. The short version? The Waynes have always been rich. As it turns out, they're about as old as Old Money gets in America, with a merchant fortune that came over from Europe in colonial times, growing as Gotham City expanded to form the cornerstone of an industrial empire. 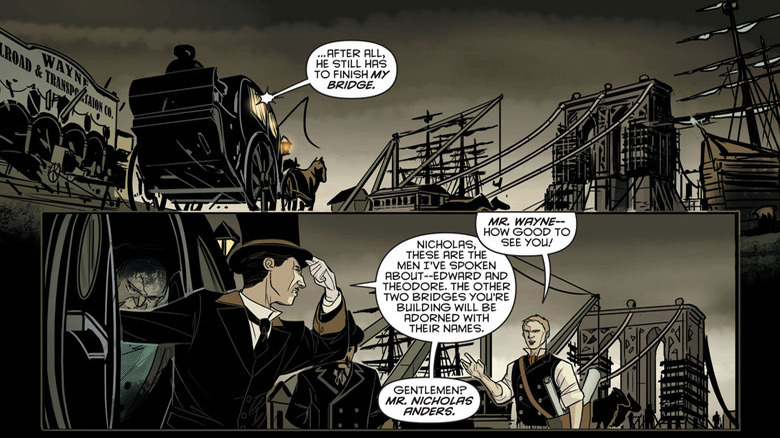 In 2011's Batman: Gates of Gotham, Scott Snyder, Kyle Higgins, and Trevor McCarthy put the spotlight on Alan Wayne, a turn-of-the-century ancestor for Batman who helped to shape the city itself by funding the design and construction of bridges, tunnels, and key buildings—including Wayne Tower. That said, not all of the Wayne fortune came from fictional sources. In World's Finest #186, Robert Kanigher and Ross Andru revealed that Batman was a descendant of real-life Revolutionary War hero "Mad" Anthony Wayne, who, like most Revolutionary War generals, had no small amount of money and property himself. If it wasn't enough that Batman was descended from one old money family with a massive fortune, he actually comes from two. The marriage of Thomas Wayne to Martha Kane—named for Batman's co-creator, Bob Kane—actually united two of Gotham's oldest fortunes. The only big difference was that rather than being from a vaguely industrial/mercantile background, the Kane fortune was rooted in chemicals, with the implication being that one of their companies was the same plant where a certain crook plunged into a vat and emerged as the Joker. While Bruce is generally considered to be the last scion of the Wayne family, the Kanes are a little more extensive. Philip Kane, Bruce's uncle, ran Wayne Industries during Bruce's years abroad training to be Batman, and was responsible for merging the companies into one. Far more important, though, is Bruce's cousin Kate Kane, better known to readers as Batwoman. In an interesting twist, the version of Martha that appeared in Geoff Johns and Gary Frank's Batman: Earth One was actually descended from a different Gotham City family that was every bit as prominent as the Waynes, and maybe even more so. In that continuity, she wasn't Martha Kane, she was Martha Arkham. While Bruce Wayne was characterized as a wealthy socialite from his first appearance in Detective Comics #27, his parents—who didn't even get a mention until six months later—were little more than just a pair of highly motivational corpses. By 1956, however, Thomas Wayne had been fleshed out a little more, and given an occupation: he was a doctor, specifically a surgeon. On the one hand, an accomplished surgeon in a major metropolitan city can pull down a considerable amount of money. It opens up some pretty interesting potential for stories, like Bill Finger and Sheldon Moldoff's "The First Batman," from Detective Comics #235, where he's kidnapped by gangsters who want him to dig a bullet out of their boss, which sets a chain of events into motion that culminates with the Waynes being murdered in Crime Alley. On the other hand, unless you're a good enough doctor to literally invent immortality, you probably won't be getting a big enough salary that your kids can buy bat-shaped space shuttles. 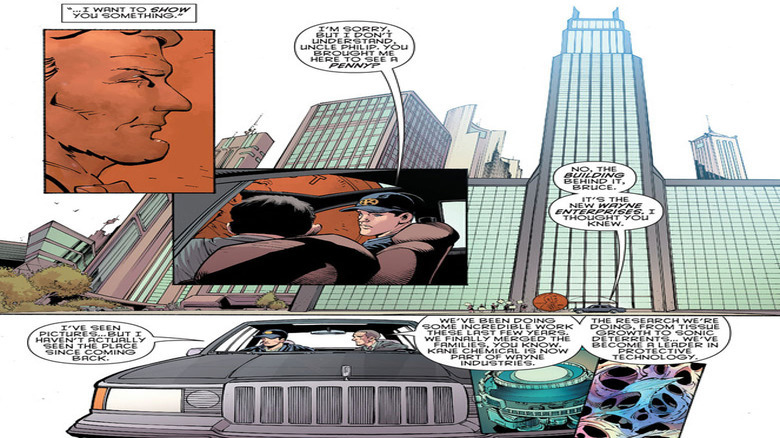 With that in mind, a story in Superman/Batman #50 gave Thomas Wayne another way to earn some extra cash. 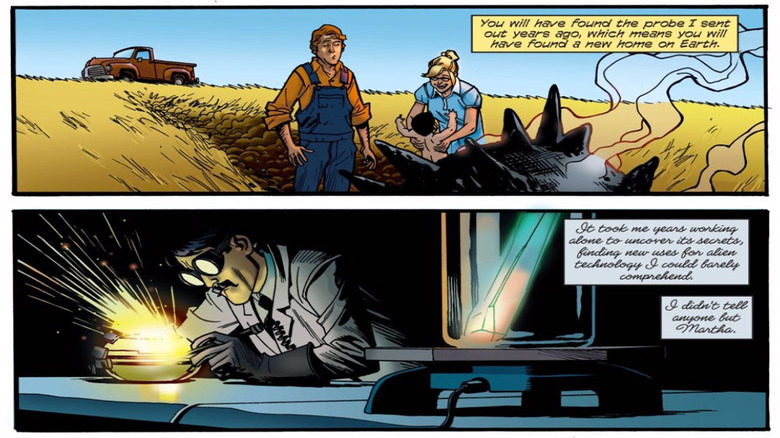 According to "Fathers," Thomas Wayne stumbled across a probe that Superman's father sent to Earth in the days before Krypton exploded, and not only did he use it to telepathically convince Jor-El that our planet was a great place to send his kid, he reverse engineered its alien technology to give Wayne Industries an edge and save the company from bankruptcy. If that's the case, Batman not only inherited his money from his parents, but from Superman's parents, too. The corporate umbrella that is Wayne Enterprises includes pretty much every type of business you could imagine. Shipping, entertainment, technology—Bruce Wayne even owns the Daily Planet, which technically makes him Superman's boss even when they're not hanging out with the Justice League. One element that persists across most versions of the character, though, from the movies to the comics to the cartoons, is that they have plenty of military contracts. As you might expect from a company owned by someone with a famous code against killing, Wayne has an emphasis on nonlethal weapons—a handy corporate policy that also allows the guy who owns the company to figure out new ways to knock out Mr. Freeze or Killer Croc. In Christopher Nolan's Dark Knight trilogy, this often-overlooked division of the company was called Applied Sciences, and sure enough, it didn't take long for someone to notice that Batman's new car looked suspiciously like a prototype that used to be down in the warehouse. Beyond that, though, it was also the inspiration for NBC's Powerless, a sitcom set in the DC Universe about the offices of Wayne Security, where workers were encouraged to think up handy solutions to supervillainous problems, which would mysteriously wind up stocking someone's utility belt in the battle against evil. 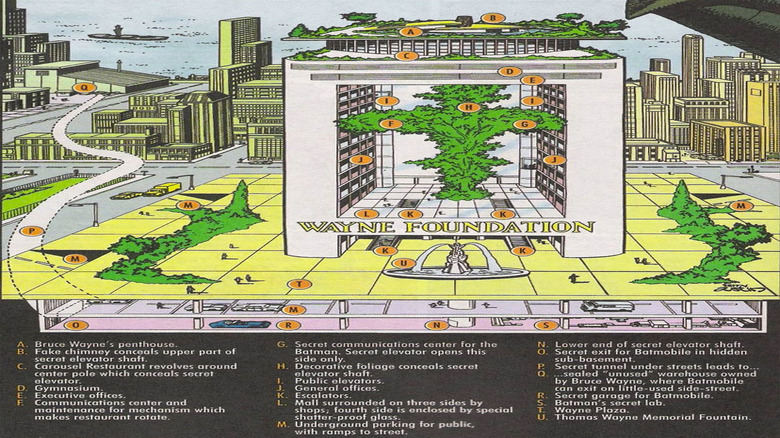 While Wayne Enterprises and its corporate umbrella might be the money-maker, we'd be remiss to not mention the other half of Batman's business empire: the Wayne Foundation. In terms of the story, the Wayne Foundation serves as the general source of Batman's more "realistic" do-gooding, a non-profit that focuses on charitable works. Unsurprisingly, it tends to focus on things that benefit children, but that doesn't just spring from Bruce's own experiences as an orphan. Before her death, Martha Wayne was characterized as being extremely active in children's charities, to the point where one story, a novel by Andrew Vachss called Batman: The Ultimate Evil, suggested that it was her work battling against an international ring of pedophiles that led to her being targeted for murder. That's not its only focus, though—Scott Snyder and Jock's "Black Mirror" storyline involved the Wayne Foundation donating a state-of-the-art, Batcave-esque crime lab to the Gotham City Police Department. It's worth noting that when Batman first established his charitable foundation, it wasn't actually named for his parents. 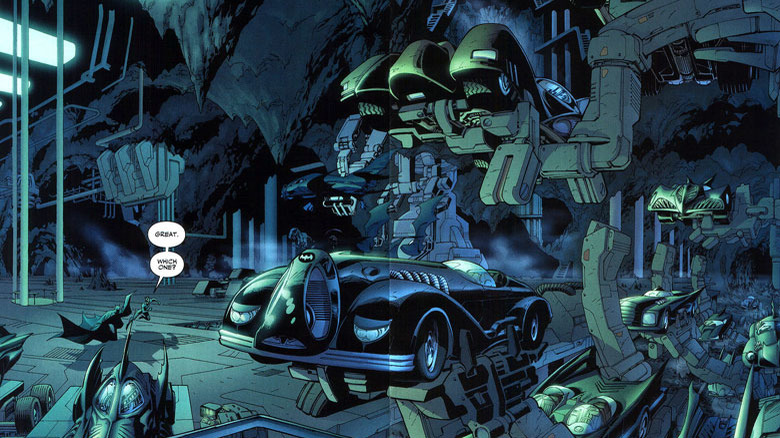 It was actually the Alfred Foundation, named in memory of Bruce Wayne's presumed-dead butler. Of course, comics being comics, it turned out that Alfred wasn't actually dead, he'd just been mutated into an amnesiac monster called the Outsider who tried to murder Batman and Robin. When he was back to his normal self, Bruce renamed the foundation in memory of his parents, because odds are pretty good that they won't be returning from the dead anytime soon. In 2010, Batman took a pretty interesting step in uniting the two seemingly incompatible halves of his war on crime: the part that was focused on charity and attacking root causes like poverty and inequality, and the part that was more focused on punching out murder clowns who were trying to poison the reservoir. The result was Batman Incorporated, a worldwide crimefightning organization that would fund, train, and equip an international corps of Batmen. 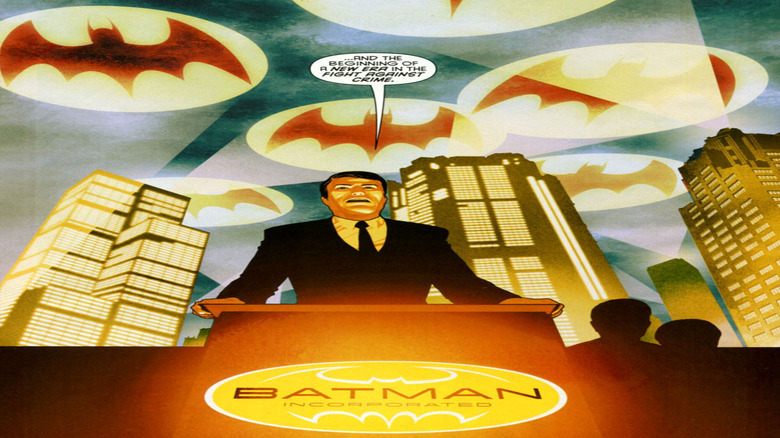 One of the most interesting things about the change was that while Bruce Wayne's identity as the man under the cowl remained a secret, he publicly revealed himself as the man who'd been funding Batman since his war on crime began. It makes sense that he would, too, if only because there's only so many bat-shaped rocket cars you can build before people start catching on. As for those international Batmen, Batman Inc.'s roster included revivals of old characters like the Gaucho and Man-of-Bats, the Native American hero of the American west, and new entries like Batman Japan and Nightrunner, a French Muslim parkour expert whose very existence resulted in a mild real-world controversy back in 2011. Sadly, most of those characters haven't been seen much since Batman Inc. was established, and whether the company even still exists in the current DC Universe remains unclear. Batman might be the DC Universe's most prominent businessman, but he's certainly not the only one, and his vast corporate holdings aren't the only major companies populating a world full of superheroes. 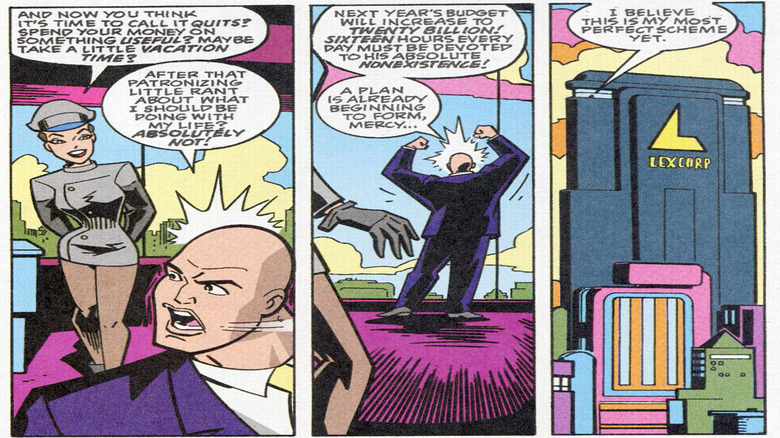 As far as Wayne Enterprise's major corporate rivals go, the most famous by far is, of course, LexCorp, the massive company run by Superman's arch-nemesis Lex Luthor. Needless to say, Luthor's role as an evil billionaire often brings him into conflict with good billionaire Bruce Wayne. Luthor, for example, was the one who attempted to rebuild Gotham City in the wake of the devastating earthquake seen in "Cataclysm" and "No Man's Land," and while that might seem like a nice bit of charity, he also put a secret passage into every major building for future crimes. That said, Batman has turned out to be the better businessman in almost every conflict, to the point of even staging a "hostile takeover" of Luthor's Injustice Gang by renegotiating the Mirror Master's contract. There are other companies, too, that have often found themselves in competition with Wayne: Queen Industries, run by Oliver Queen (Green Arrow); Starrware, a software company headed up by Karen Starr (Power Girl); and even Ferris Aircraft, the company that employed Hal Jordan (Green Lantern). It turns out that one of the biggest fantasies of the DCU is that more companies are run by heroes than villains. So what does he do with all that money? Now that we've gone through all the in-story reasons for Batman's endless wealth, there's one big thing to remember: ultimately, it doesn't matter how Batman makes his money. Bruce Wayne's limitless fortune exists entirely as a function of the story, a convenience to explain why this guy can go out every night and get in fistfights with Two-Face and the Scarecrow and not have to worry about making it to work on time the next morning, or to allow for the great visual of a pointy-eared vigilante driving around in the coolest car you've ever seen. 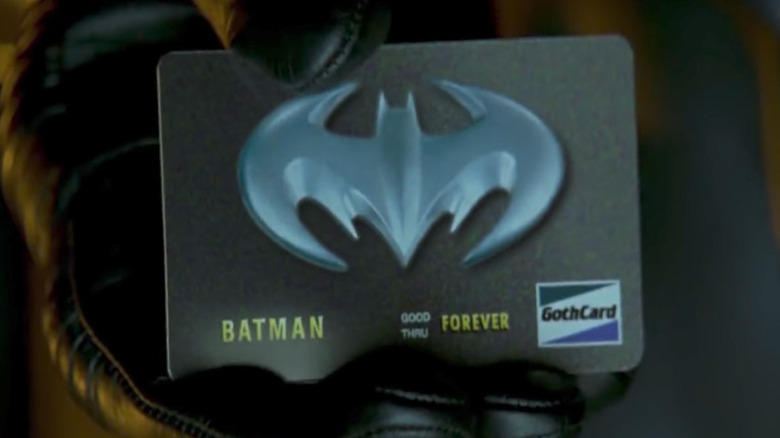 One of the snarky criticisms that you see floating around about Batman is that he spends his money on Batarangs, supercomputers, and other vaguely bat-shaped toys rather than using it all to help the real problems, but that's a criticism that ignores one very simple fact: it's all made up. Not only is there something within the story that addresses that, the Wayne Foundation, but if you want Batman to spend more of his money on fighting poverty, then all you have to do is imagine the amount he spends on Batmobiles, quintuple it, and slide that into the ledger under "charity." There's no finite amount of money being divvied up to support all these pursuits. Besides, if there's one thing we can all agree on after reading through an adventure story, it's that Gotham City has a lot of problems that need to be addressed immediately, and stopping someone from destroying the city with mind-controlling coffee cups—Detective Comics #759—is way more exciting than watching some rich guy write checks.